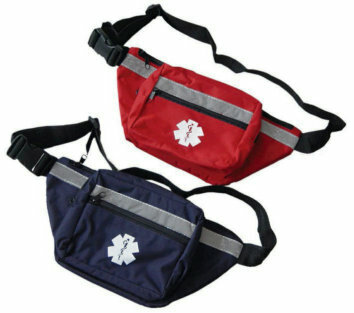 This First Responder Fanny Pack is perfect for storing your personal items on or off duty. 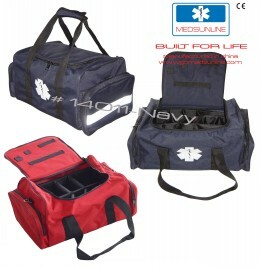 Popular 3 compartment design allows for versatile storage options, and the high-visibility reflective tape offers added safety. Most popular airway management bag in the industry. 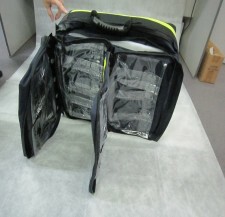 Fold-back lid has two zippered mesh pockets for O2 masks. 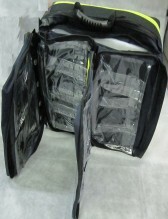 Padded main compartment holds "D" or "Jumbo D" tank. Interior has mesh pockets and adjustable tool holder. Has two full-length side pockets and one end pocket with elastic loop straps. 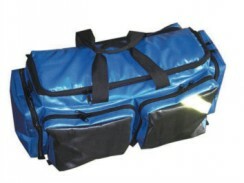 Size: 27" x 12" x 10"
Cylinder Sleeves Description: This unpadded cordura sleeve makes carrying your oxygen cylinder easy. 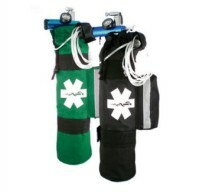 Complete with drawstring closure, exterior pouch and attachment straps. This sleeve fits a standard D cylinder. reflective straps, easy for people to see. Size: 16"x5" Color: Green, Black, Navy. 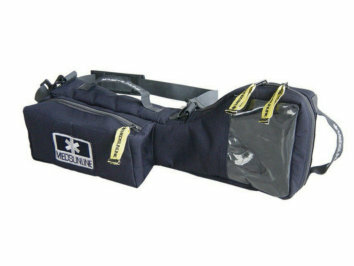 DELUXE O2 bag Is exclusively constructed of the strongest fabric available on any O2 carrying system! 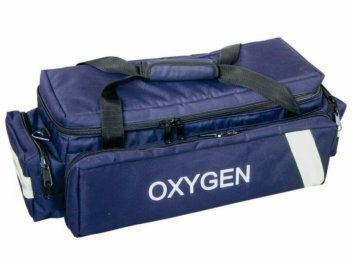 Since the Deluxe Oxygen Bag was designed by paramedics for paramedics it is the most user friendly O2 carrier on the market. 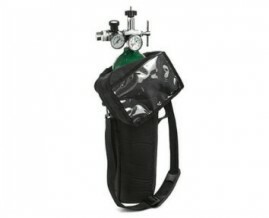 It includes mesh pockets, large main compartment, and designed specific pockets throughout, this system easily to carry and organize all essential O2 therapy supply’s and accessories. Bag comes complete with straps and reflective striping. Advanced life support oxygen bag with superior features including reflective strips and tucked away back pack carry straps with waist lock. Longitudinal and horizontal handle carries. 2 small side pouches and 2 large front pouches. Each front pouch comes with 6 see through plastic pockets with name slots - 4 slots without cover and 2 with velcro closure. Behind the front pouches is a single side opening pouch. The main compartment consists of velcro running affixed with 5 colour coded, with name slots and detachable compartment - 2 red and 2 blue uncovered sections with a main green see-through pouch closed with a zipper. The green section has a flat velcro closed compartment and 10 see through slots with expandable elastic loop straps. Size: 21.25" X 20.5" X 10.25"